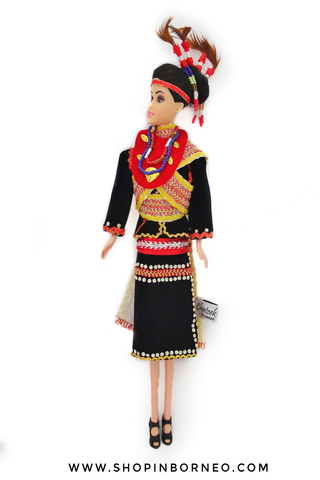 The Lotud people are one of the Dusun groups of Sabah. The women are skilled in producing the embroidered panel called linangkit which is used to decorate the knee-length skirt, circular sash and trousers of their traditional costume. The lady, Humee, wear a long-sleeved black cotton tailored blouse, with red stitch work at the seams and knee-length black cotton tube skirt. 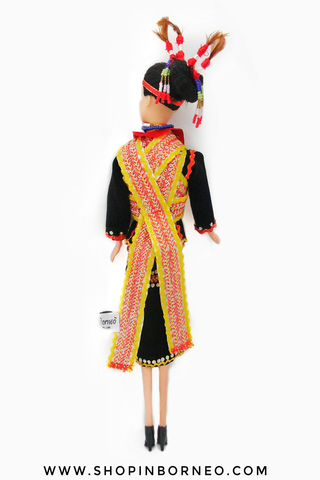 These costume worn by the priestess (tantagas) and other women during ceremonies, festive and special occasions.